Log Homes Designer, Rand Soellner Architect creates a Cashiers Log residence. 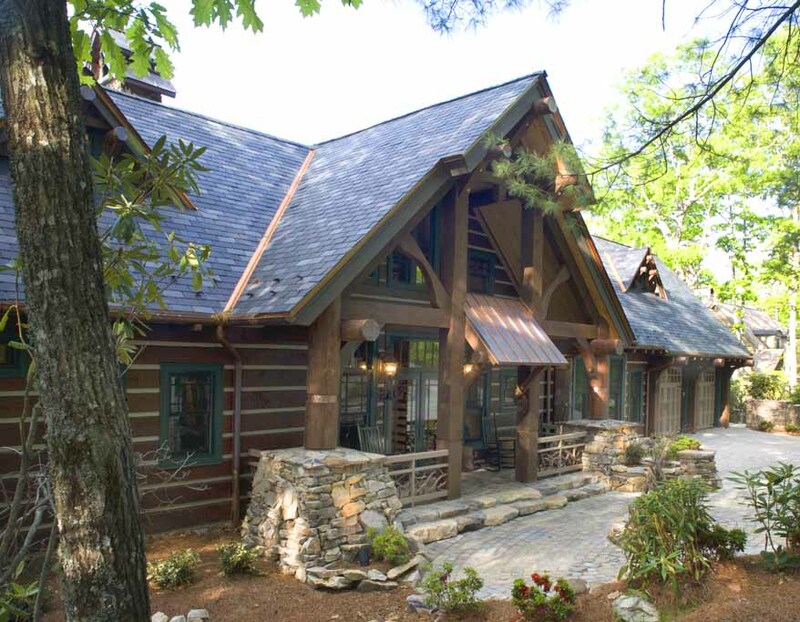 Log homes designer Rand Soellner designed this attractive Cashiers house using a combination of timber frame and post and beam techniques. (C)Copyright 2005-2010 Rand Soellner, All Rights Reserved Worldwide. Viewed here from the forest preserved in front of this Cashiers residence, one can see the attention to detail in the timber frame architectural detailing of the front porch. This is a decidedly different way to create a mountain house on the part of a log homes designer. Rarely does one see a timber frame structure standing tall as the entryway into a rustic residence. It works here, however. There is a firepit in the cobblestone Entry Court. Soellner prefer to Not use such things as sidewalks, instead creating Outdoor Spaces through which you pass to access one area from another, which is so much more enjoyable than walking in a straight line on a narrow strip of concrete. This home actually is stick-built, but utilizes a custom pressure treated “log siding” material that Soellner invented. Unlike other log homes, it can’t rot and it much tighter construction-wise. Even the chinking is pressure treated material. 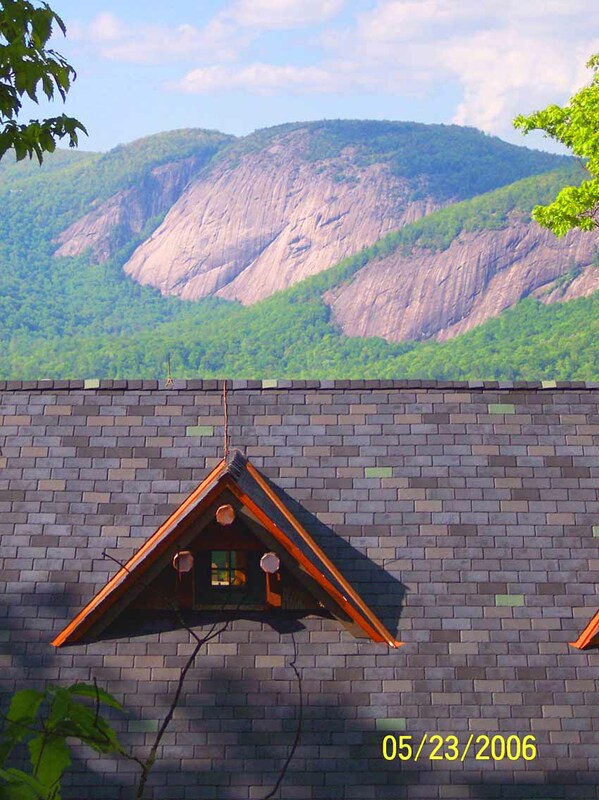 The roof has a faux slate tile, warranted for half a century, and is a recycled “green” material. The interior floors are oak, custom distressed to look 150 years old. There are some copper accent roofs. There is a special roofing underlayment that makes it just about impossible for the roof to ever leak. Rand Soellner Architect’s attention to detail continues outside his houses, right into the landscaping, including custom design signage, naming the project and working with artists on statuary. 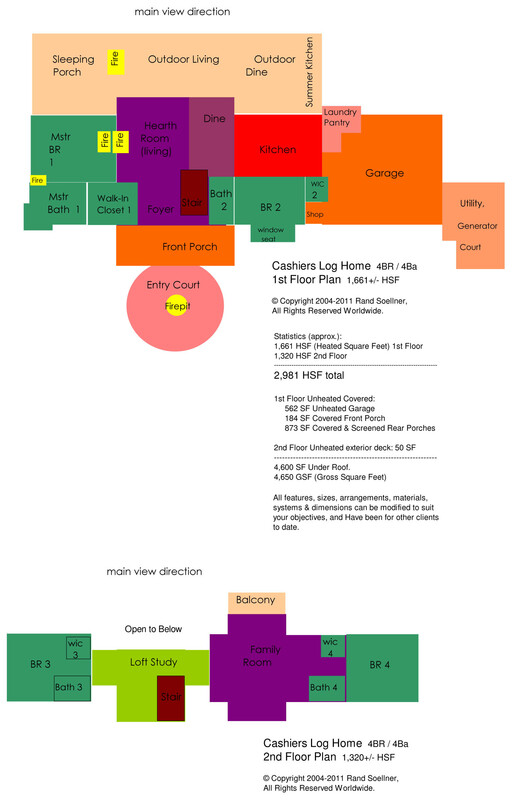 Log homes designer – special style. This is part of his unique style, which he handles unselfconsciously, so that people approaching this residence for the first time don’t seem to notice that it is really a hybrid. The term “hybrid” means: composed of several different technologies, particularly in a structural context. Here, you have timber framing, log siding and posts and horizontal bracing beams and outriggers supported on diagonal bracketry. Most log house designs don’t enjoy this rich juxtaposition of muscular elements. Soellner likes to use large beams and posts than are typically seen, giving his houses a more robust, athletic quality that appeals to people seeking Rustic Elegance. Juxtaposition of this design and its magnificent environment. Rand Soellner designed this residence. (C)Copyright 2004-2010 Rand Soellner, All Rights Reserved Worldwide. Hybrid mix for log homes designer. The end result is a captivating mix that one never tires of looking at. Soellner wants his clients to enjoy his works of art, science and technology (architecture) long after he has gone. Part of Soellner’s approach is to not use any stylistic cues that identify the house as being from any particular trendy era. Rather, Soellner works to create projects that are timeless: they could have been built 100 years ago or 25 years from now. And to do this, Soellner looks and listens to the environments surrounding his projects, blending them into the materials and muted colors of nature, like they grew there, along with the trees, bushes and mighty granite mountains. 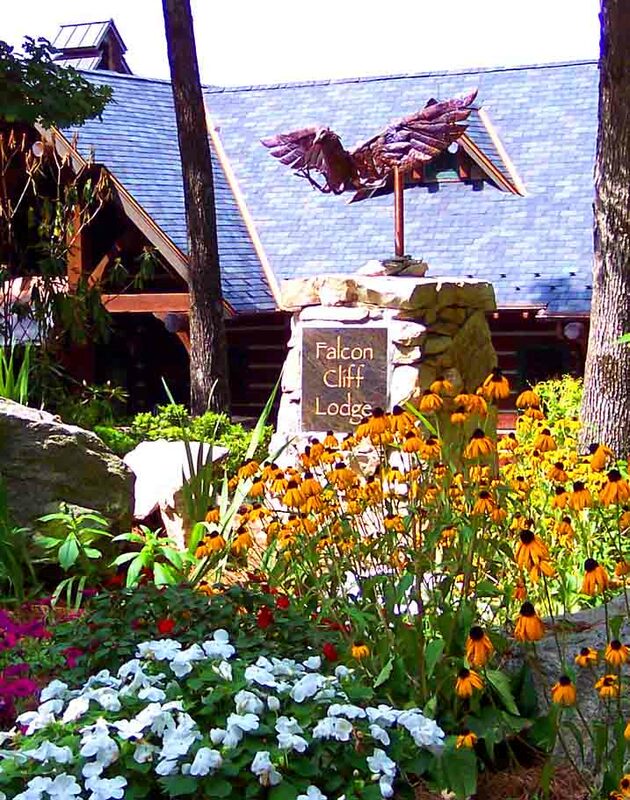 Some call his approach a mountain lodge style, others just see it as a natural artistic feel for the variety of environments where Soellner designs his houses. There is much more to understand and incorporate into dwelling projects, and you can see some related topics on other webpages on this website. See the paragraph below for some hotlinks. And also look through the Projects Index and the Off the Shelf Plans Index. Thanks for looking. Rand Soellner Architect log home designs are provided to clients to suit each and every unique set of circumstances. Soellner designs your custom house to suit your special site conditions, wherever it may be located (anywhere on Earth) and to accommodate your desired lifestyle. Rand Soellner : log home architects. tags: log homes designer, cabin, timber frame architecture, post and beam architect, mountain architect, luxury residential, vacation, dubai, bahrain, sydney, cashiers nc, highlands, asheville, atlanta, brevard, vancouver, baltimore, maryland, mobile, greenville, hilton head.